A couple of hours drive inland from the cosmopolitan capital of Tunis sits Medjez El Bab, a provincial town that has relied on income from agriculture since Roman times. The surrounding hills are still packed with fields of wheat and other crops like watermelon, but times are getting harder for the region’s farmers, and poor water management is to blame, says Hatem Jemmali, a social economist at Manouba University who studies inequality and poverty in the Middle East and North Africa. The summer months are getting hotter in Tunisia; the average temperature in July between the years of 1991 and 2015 was 2.3 degrees Celsius warmer than it was 90 years earlier, according to data from the World Bank. Rainfall is also increasingly difficult to predict; it varies greatly from year to year. For example, according to another dataset from the World Bank, the amount of rainfall Tunisia received in 2002 was 98 percent lower than it was in the following year. Tunisia is not unusual among North African and Middle Eastern countries in facing this problem. Countries throughout the region suffer from water scarcity, which is expected to get worse as a result of climate change. The shortage of water in Tunisia’s interior is reducing crop yields and therefore farmers’ profit margins, which is bad news for the area as a whole because farming is the bedrock of the regional economy. 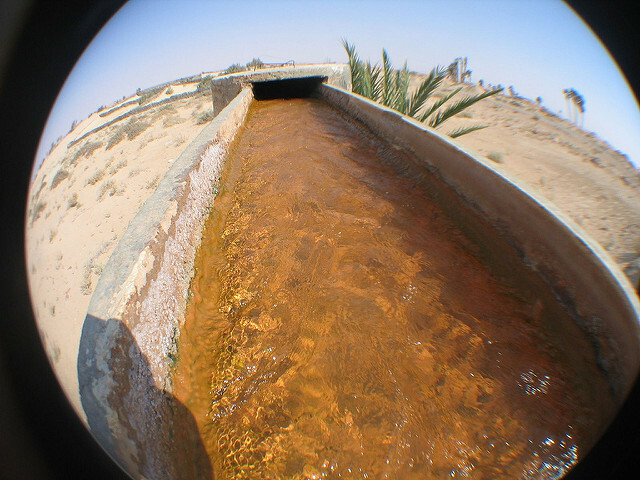 Jemmali argues that water scarcity is widening the economic gap between the country’s relatively wealthy coastal zones and the more deprived inland governorates. Read the full article by Benjamin Plackett via A-lFanar Media.